The 2015-16 Arizona Coyotes roster will be a vastly different team than the one which finished second-last in the NHL a year ago. 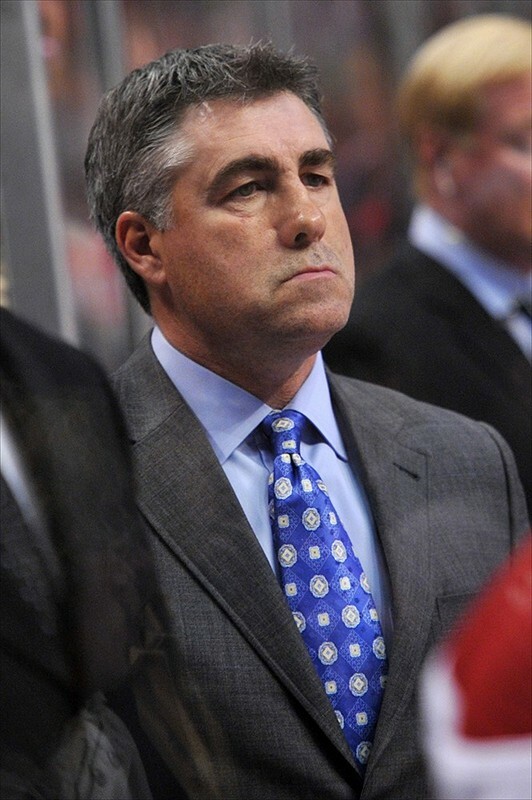 That’s the promise given by Arizona coach Dave Tippett. After a disastrous season in which Tippett, a proud and successful coach for over a decade in the NHL, pondered thoughts of stepping away from the desert, he developed a change of heart. On the brink of training camp, the 54-year-old native of Moosomon, Sask. appears rejuvenated by the prospect of young talent making a considerable difference. Coming off a season in which the Coyotes’ record of 24-50-8 was the second worst in the league behind Buffalo, changes were enviable. From any perspective, the Coyotes needed a complete overhaul, and that included finding a way, any way, to put the puck in the net with regularity, improving goal-tending, shoring up a marginal blue line and assuring a future in the desert against a recalcitrant Glendale city council. Captain Shane Doan, who will be 39-years-old on the night the Coyotes open their home season Oct. 10 against the Penguins, is still recognized as one of the eminent captains in the NHL. While his leadership and communications skills remain strong, his physical skills, critics point out, have diminished. Last season, Doan, usually skating on a second line, scored 14 goals in 79 games, the lowest production in his 19-year NHL career. 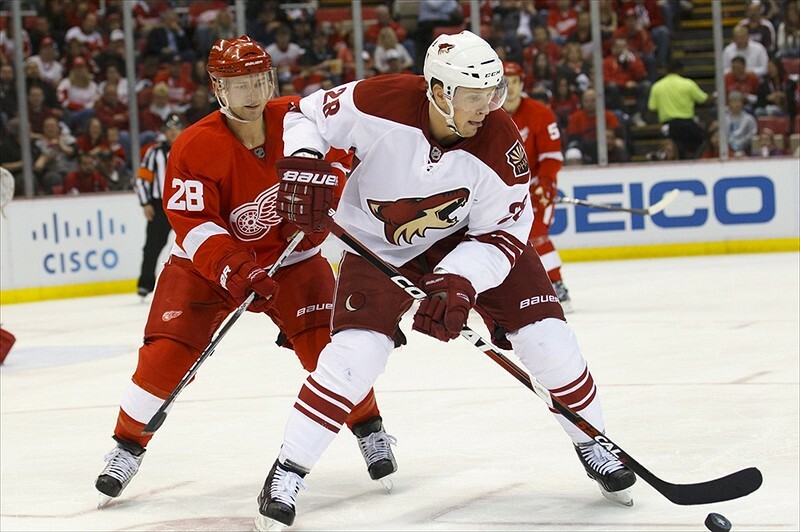 Doan scored 13 goals in the strike-shorten season of 2012-13. From a defensive standpoint, he could be considered a liability. 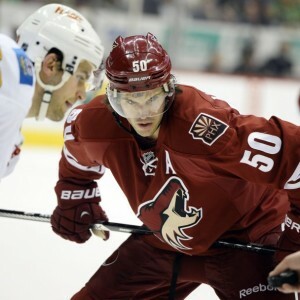 Last season, Doan was a minus 29, the highest on a team which allowed the second most goals in the league. Right behind was Gagner with a minus 28 and Korpikoski with a minus 27, both of whom were traded. Off to a great start last season, Boedker scored five goals in the first three games of the season and quietly began to score. Yet, a season-ending injury to his spleen during a game at Winnipeg ended would could have been a highly productive campaign. Because of lingering issues between the city of Glendale, site of Gila River Arena, the Coyotes home rink, and the Coyotes, Boedker was reluctant to sign with Arizona. While general manager Don Maloney wanted a long-term deal, Boedker finally signed a one-year contract and make it clear his decision not to sign an extended contract was clearly influenced by the politics of the Arizona franchise. There’s no question the Coyotes can use Boedker speed and play-making ability. His potential long-term deal, now that issues with the city of Glendale have been resolved, will depend on his production. As assistant captain, Hanzal is regarded a highly reliable two-way player. His size at 6-5, makes for a formidable figure on the ice and his body is used to block the view of opposing goalies in front of the net. Yet, Hanzal is injury-prone and has suffered from repeated back problems. After a back operation ended his season in January, Hanzal is now ready to be a force. His abilities on the power play and as a penalty killer are strong, and he always seems to be at the right place at the right time. Despite the disappointments of last season, defenseman Oliver Ekman-Larsson remains the core and foundation of this team. Rising among the NHL elite, the 24-year-old native of Karlskrona, Sweden led the Coyotes in scoring with 23 goals, 20 assists, for a 43 points, and emerged as a potent force on the power play. Tippett hopes the development of younger players and the addition of speed will help Ekman-Larsson attain greater heights. While Ekman-Larsson skates in what is considered a small market, and the Coyotes are a forgotten team which it comes to national television exposure, his game is superb. While offensive skills are emphasized, his ability to move the puck with speed and creativity is an emerging part of his game. At this point, he can only get better and draw more attention to a prodigious skill set. Settling in a steady defenseman with a strong right-handed shot, this could be his break-out year. Though his plus-minus was high, Murphy’s is developing as a “stay-at-home” defenseman and worried more about play in his end than rushing the puck. A strong shot from the right point, Murphy combines intelligence and a respect for his positon. This is a kind of player not caught out of position often and his animated personality in the dressing room and with the media shows another important side. Murphy emerges this season as a leader and a force in the Coyotes attempt to rebuild. Mike Smith, the 32-year-old native of Kingston, Ont. turned in a career-worst 3.16 goals against and recorded a season-mark of 14-42-5 and no shut-outs, Smith seemed to have had a complete reversal of fortune during the World Championships in May. In eight games for Team Canada, the eventual tournament winner, Smith allowed 12 goals, posted a 1.50 goals against average, recorded two shut-outs and recorded a 93.02 save percentage. In preparation for the coming season, he is working with Jon Elkin, hired by the Coyotes as one of two goal-tending coaches. Elkin, who operated his own goalie school in Toronto, previously instructed Smith as one his students and now will be at his side in camp and during the season. Before, Smith worked with Sean Burke, who was highly regarded as the catalyst in helping Smith turn in a stellar 2011-12 season, the best in his nine NHL years. During that season, Smith went 38-18-10, posted a 2.21 goals against average and recorded eight shut-outs. 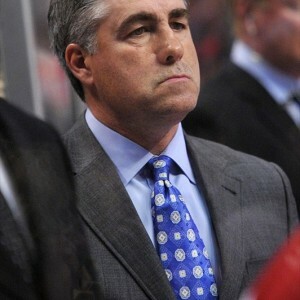 As well, he guided the Coyotes into the Western Conference semi-final round of the Stanley Cup playoffs and lost to the Los Angeles Kings, the eventual league champion. 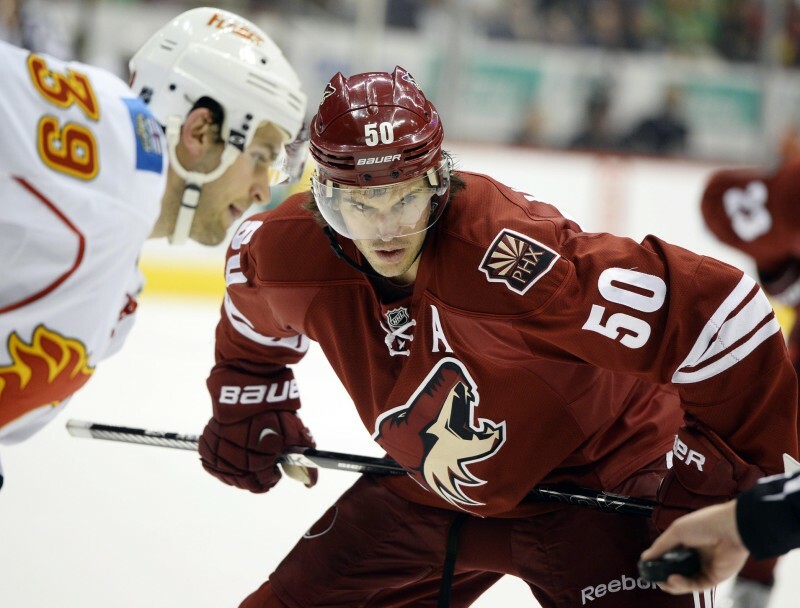 Going forward, the question remains, which Smith will show at the Coyotes training camp. Tippett citied the emergence of Tobias Rieder as a productive left winger and a player to watch. Speed and skill as a left-handed shot, Rieder emerged last season as a dependable winger but more importantly, as a solid penalty killer. Starting last season in the minors, Rieder fit nicely as Doan’s left winger and then development into a strong force on the left side. Potentially paired again with Doan as his right wing and center Vermette, signed by Phoenix after helping the Blackhawks win the Stanley Cup, Rieder will clearly benefit from skating with Doan and Vermette, a pair of experienced veterans. The Coyotes are going through an abrupt change in personnel and the one returning player which needs to step up his game is center Kyle Chipchura. After Keith Yandle was traded to the Rangers, Yandle’s “A” for assistant captain was given to Chipchura. In training camp, there is no question Chipchura will be pushed by Max Domi for a roster spot and he needs to respond. Coach Dave Tippett is looking for youth and speed to help transform this team, and if Chipchura doesn’t step up his game and show why he is wearing the “A,” he could be looking for a job by early October. While Maloney had no interest in re-signing veterans David Moss, Mark Arcobello, B. J. Crombeen, Martin Erat, and traded Sam Ganger to the Flyers and Lauri Korpikoski to the Oilers, these transactions will create opportunities for younger players. At the same time, several making another tour of duty with the Coyotes, and their experience should help. Here, defensive forward Boyd Gordon was brought back in that trade for Korpikoski and free agents Antoine Vermette, Steve Downie, Brad Richardson and John Scott, all forwards, were signed. For now, the popular notion holds there is no place for the Coyotes but to rise and proceed forward. Based on youth, speed, acquisition of veterans to help in this transition process and Tippett’s reputation as on the best coaches in the NHL, the forecast ahead may not be as pessimistic as the recent past.